If you love to wear accessories, good jewelry storage is a must to keep your collection organized and in good condition. 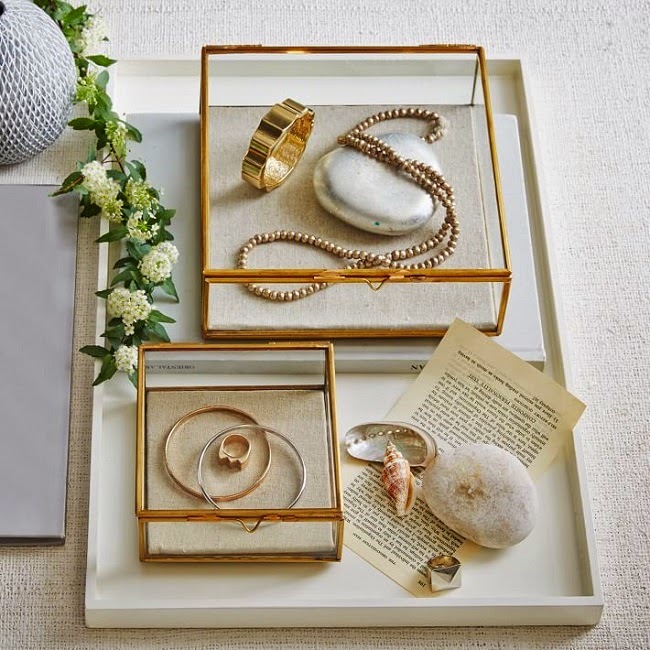 Make your jewelry storage serve a dual purpose as decor with these beautiful ways to organize and display your favorite trinkets. Clear Glass Jewelry Cases - Whether it's a shadow box or a modern display case, this is a great way to keep your jewelry protected but still keep it on display. You can switch up the look by lining a case with velvet or beautifully-printed fabric to match your decor. 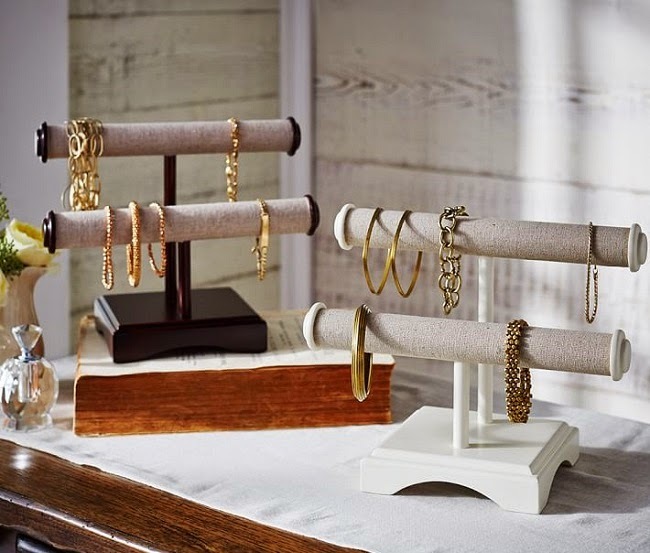 Get a few in different shapes and sizes to cluster together and showcase your favorite pieces of jewelry. Boutique-Style Jewelry Displays - Velvet jewelry stands are such a beautiful way to store accessories if you have room to display them. 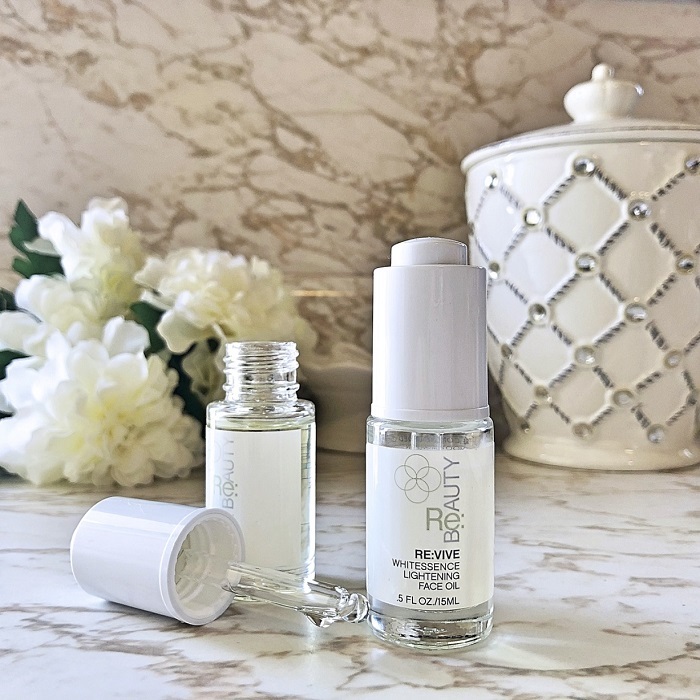 Use just one or two next to a vanity tray of perfume and fresh flowers, or display a full set of them if you have surface area in a large walk-in closet. Some of these do limit the amount of jewelry you can store, like the velvet necklace stands, but they're so worth it if you have a big statement necklace you want to display. These have become quite popular and can be quite expensive at home decor shops, but if you check online or in the jewelry supply section at the craft store, you can find the velvet stands for under $10. Tiered Jewelry Dish with Stand - This is a really beautiful way to store jewelry that you can incorporate no matter how much space you have. 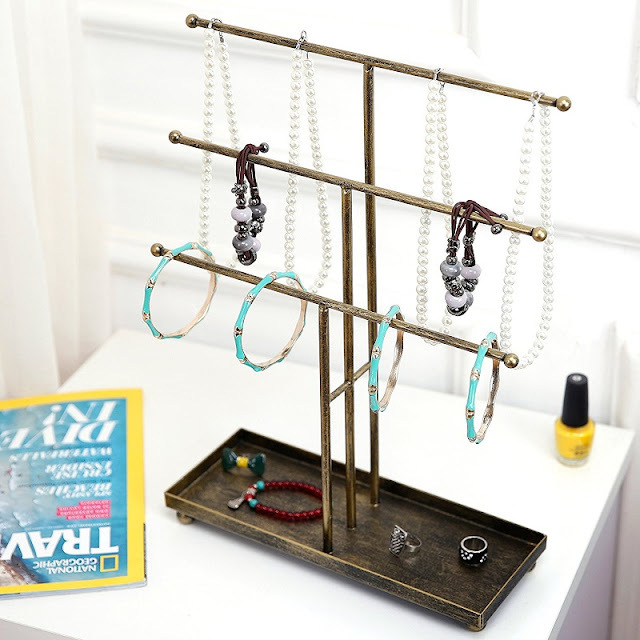 Get a tiered stand with a dish at the base to display jewelry in a small space. 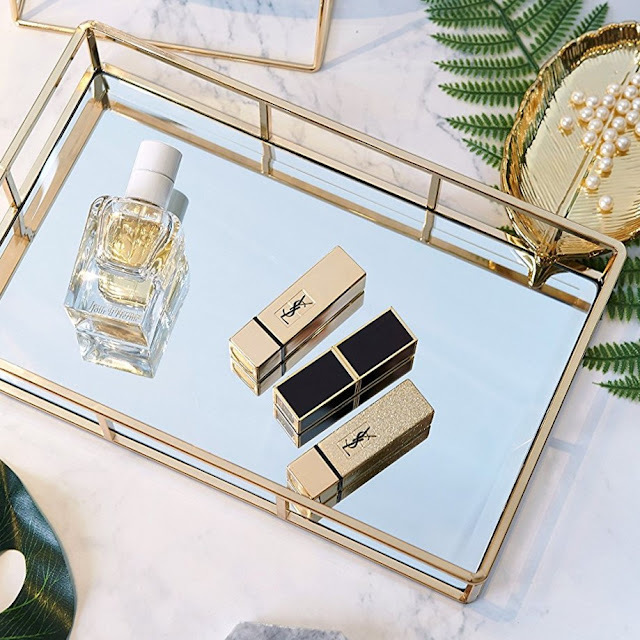 As you can see with the set pictured above, it's a beautiful way to organize your everyday jewelry, makeup, and perfume in one space. If you share a bathroom with a roommate or family, it's handy to keep these things in your own space like in your bedroom so you can easily access them if the bathroom is occupied. Glass Cloche Jewelry Display - If you're looking for the most unique and elegant way to display your jewelry, this is it! 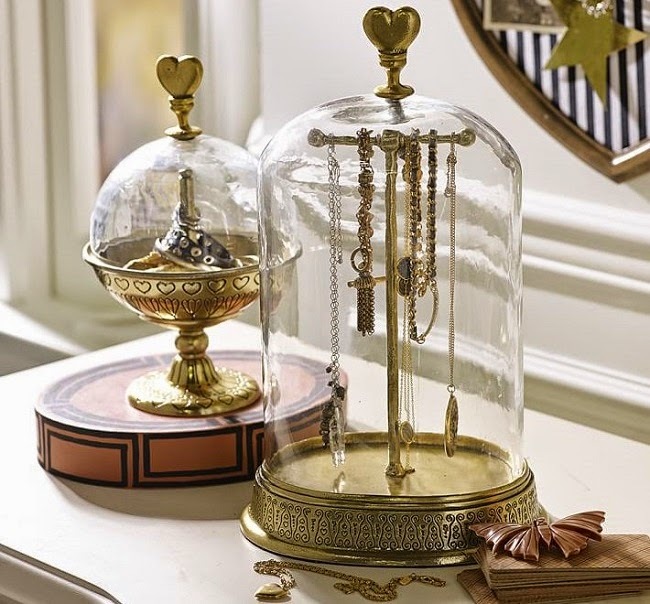 If you already have a few small metallic jewelry stands, you can purchase glass cloches separately, like these tall glass bell jar cloche domes. Just be sure to measure them first. Though you can also find them specifically for jewelry at stores like Pottery Barn. Unique pieces like this can look odd on their own. It's best to cluster them in two's or three's of varying heights. Decorative Dress Form - I'm a little torn on this idea when it comes to displaying jewelry. 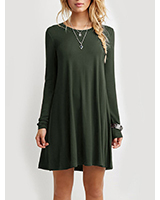 While I think it looks great, I've always found dress forms a little creepy. I catch one out of the corner of my eye and think someone's in the room. I could see myself screaming and ninja kicking my jewelry all over the place. But I do think it's such a cute way to store and display statement necklaces, especially if you have a fashion-themed bedroom or office. Perhaps a smaller tabletop version would be best for me! 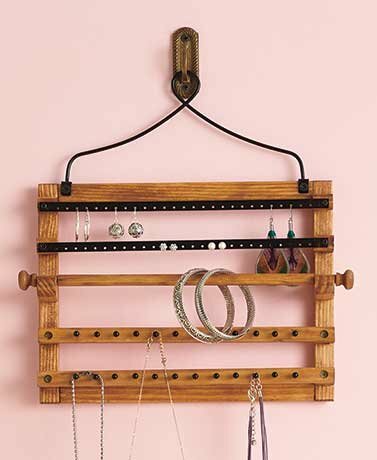 Hanging Jewelry Organizer - If you're pressed for space but want all of your jewelry in one place and easily accessible, this is the very best way to get organized. 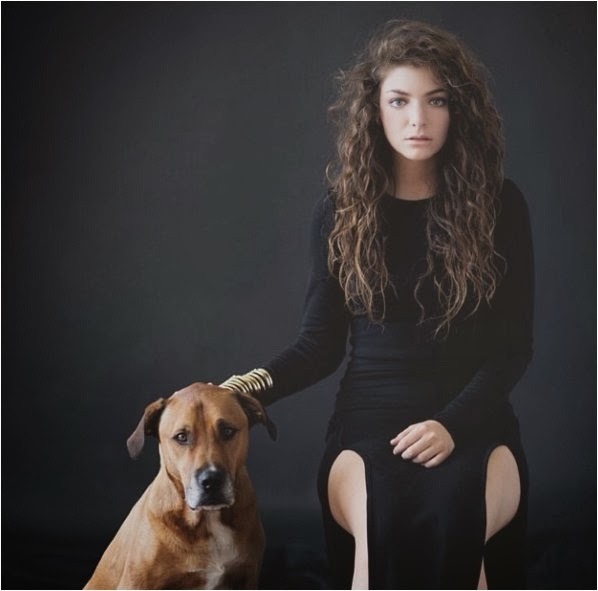 Mount it on the wall of your bathroom, bedroom, or walk-in closet. Similar versions come with over-the-door hangers, but I can imagine all the jewelry clanking and necklaces tangling. Definitely go with a wall-mounting version. Decorative Tray - This is one of my favorite ways to organize my everyday jewelry. If you have plenty of tabletop room on a vanity or dresser, use a mirrored or metallic tray to add some glamor to your space and have your daily jewelry easily within reach. 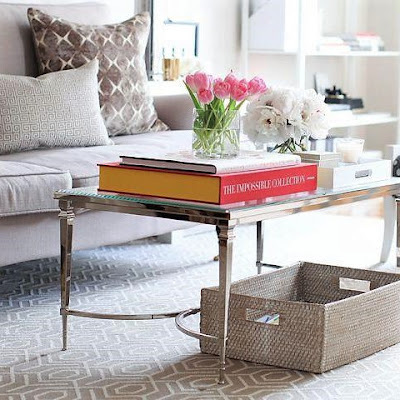 Get creative with things that aren't necessarily "jewelry trays". 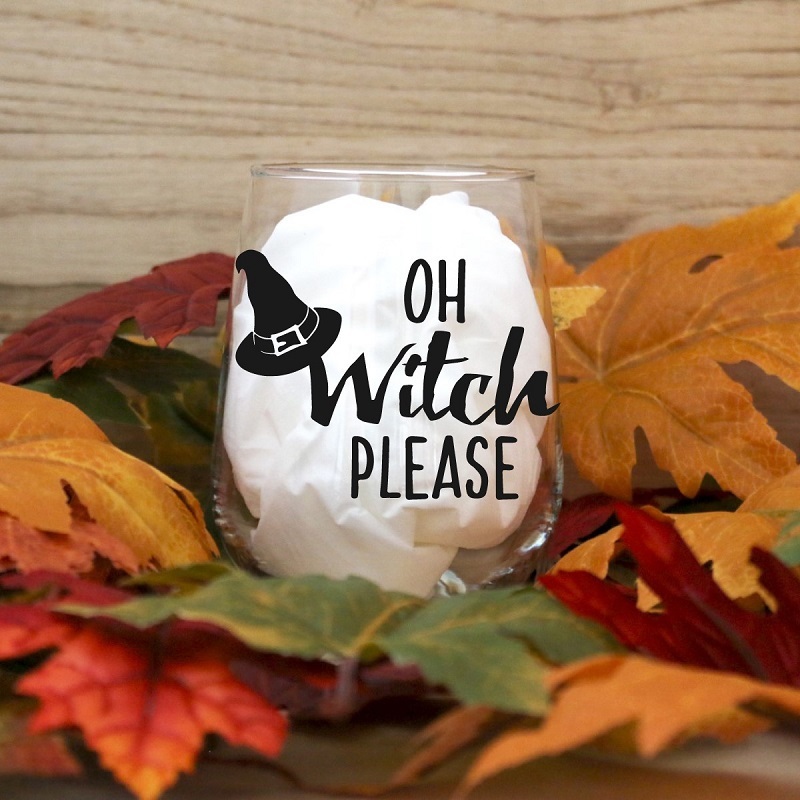 A beautiful serving tray, flat mirrored tile or small framed mirror, or even a decorative candle holder meant for clustered pillar candles can serve as a nice jewelry catchall on top of your dresser. Vintage metal trays are pretty easy to find at second-hand shops. When you look for things that aren't marketed specifically as "mirrored jewelry trays", you can find them for a fraction of the price. I found some gorgeous beveled-edge octagonal mirrors at Ross for just $4 a piece. I use them for anything from jewelry trays, perfume trays, and even as fancy appetizer trays. 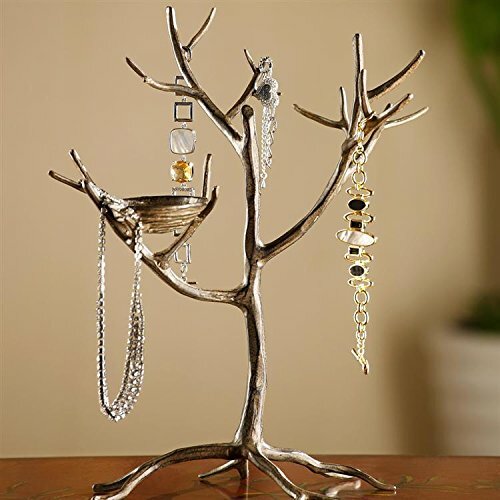 Jewelry Tree - Much like a small jewelry stand, a jewelry tree is perfect for a small space, though it's much more decorative, so it's much better for common areas like a bathroom or on display in your bedroom. I like how you can hang whatever you want wherever you want on the branches. Want more Home Decor Inspo? Explore KCL Home!